Whether you have sticky typing fingers or just don’t know the correct words to key in, you aren’t alone in stumbling over your keyboard trying to find the perfect search terms to lead you to the perfect Valentine’s Day gift for your loved one. No matter. The end result is that, here, you have actually found some advice that should set you on the road to choosing the perfect blossoms for your beloved. We’ve gathered some valuable information to help you on your quest. But let’s start first with the search terms that got you started in your pursuit for posies: Valentines roses. You were searching for how or where or what kind of roses to buy for Valentine’s Day, correct? Ah! But here’s the real question: Must you buy roses for Valentine’s Day? 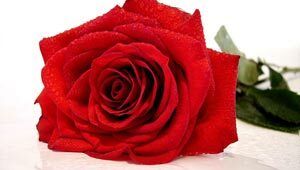 Men, over the years, have developed the belief that only one flower typifies this February holiday: the traditional Valentines Day rose. But not just any rose. The red rose. As a result, the floral industry has to ramp up its efforts every year to try and come up with enough red roses to meet that heightened demand. That means flower growers kick it into high gear to push blooms to bud at exactly the right time, resulting in crazy-busy efforts to get the flowers harvested, processed, imported, trucked and then delivered to your florist so that she still has enough time to design a bouquet of Valentines roses that will blow your lady’s socks off (or whatever undergarment you prefer). The pressure to provide roses in such abundance in such a limited window is enormous. Thus, red-rose prices end up far higher during the holiday season than at any other time of the year to cover all the extra costs associated with this frantic production cycle. And what’s even crazier? Women don’t necessarily even prefer red roses! Sure, they are traditional, and lovely and romantic. But a variety of surveys, albeit very informal, show that women prefer other flowers. Maybe it’s the fact that roses are so traditional, and modern-day ladies want something a bit more unique, fun or personal. Whatever the case, you can feel confident that choosing blossoms other than roses won’t put you in the doghouse. So what other choices should you consider? We asked some florists from across the continent for the second-most-requested flowers behind the Valentines rose. Following are the results of our unscientific poll to help you choose the best flowers for your favorite gal. Tulips were the absolute favorite among our florist friends. What’s great about tulips is not only do woman love them, but they are also extremely affordable at Valentine’s Day. That’s because they are in season during February. So, for the same price as a Valentines Day rose in that crimson hue, you can get several bunches of tulips and bequeath your love with a dramatic, show-stopping bouquet. These beauties are preferred by anyone who longs for a perfumed aroma from their purchase. Stargazers are a variety of lily renowned for their fragrance, as well as buds that continue to open for several days after purchase. 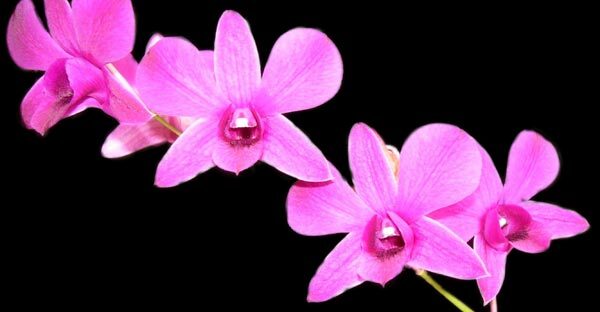 A stem of orchids often sells at the same price point as a Valentines rose stem, but orchids typically have a longer vase life. The hardy blooms come in a huge assortment of styles and colors, too, so you can choose a variety that matches your gal’s particular preferences. These stately flowers (often referred to as calla lilies) are typically available in white, but other shades of pink, yellow and burgundy are also offered. Set a bouquet next to one of that traditional Valentines Day rose and you’ll see immediately what the appeal is. A potpourri of posies is often the preferred choice, mixing a rainbow of colors or blending a hue of monochromatic colors. You’ll often get the biggest bang for your buck with a mixed bunch, too, because the blend of high-priced flowers with less-expensive ones allows for a larger arrangement. A related option is to request a mixed bouquet of colored Valentines roses. Either option—according to our florist friends—will satisfy your sweetheart’s sweet spot.